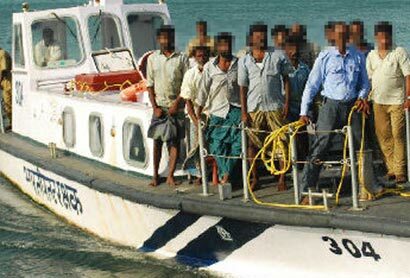 CHENNAI: Eighty-six Tamil Nadu fishermen, who were arrested by the Sri Lankan navy in the past two months, would be released on October 28, the state government said on Sunday. The state government would also release two Sri Lankan fishermen in its custody on the same day, it said. “The Union government has informed that Sri Lanka would release 86 fishermen (hailing from Tamil Nadu) on October 28,” an official release said here. Chief minister Jayalalithaa has ordered all steps to bring them back. The release of fishermen was the outcome of Jayalalithaa’s “continuous efforts”, the release said. The Tamil Nadu fishermen belong to Nagapattinam, Pudukottai, Tuticorin and Ramanathapuram districts were arrested and lodged in jails in Sri Lanka between September 22 and October 14 this year. “They were apprehended while fishing in their traditional fishing areas of Palk Bay and Gulf of Mannar,” the release said. Following this, Jayalalithaa took up the issue strongly with the Centre. She had written seven letters to Prime Minister Modi seeking his intervention at the highest political level with Sri Lanka for the release of the fishermen.